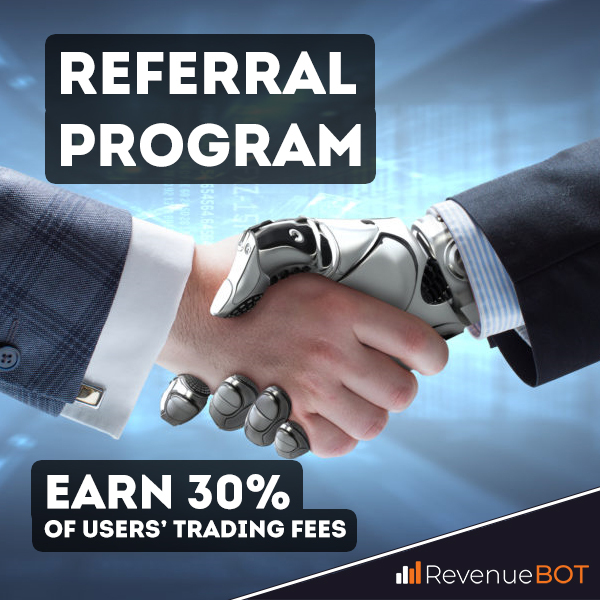 You can make good money simply by recommending RevenueBot to your friends, acquaintances, website visitors, or subscribers. We offer you 30% of earnings we receive from users you bring to the site. The referral program is recommended for anyone interested in crypto currencies and trading, webmasters, arbitrators, site owners, forums, blogs, social groups, networks and so on. The maximum user commission fee for the RevenueBot bot is 50 USD per month. Accordingly, your maximum earnings from one referral will be 15 USD per month.